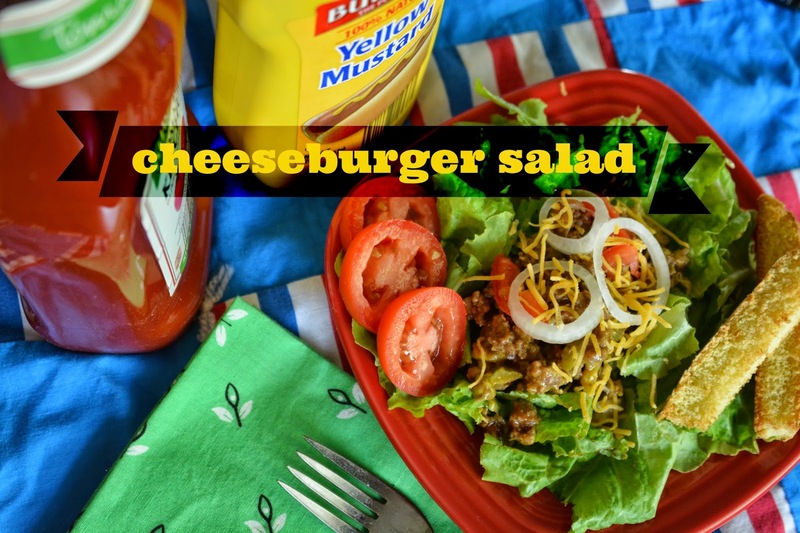 Too hot to grill but still hankering for a cheeseburger? We feel ya. Here's a summer twist on a classic, sure to please even the hungriest dairy farmers among you. Preheat oven to 425°F (220°C). Slice bun tops into 1/4-in. (6-mm) strips. (If bun tops are very thick, slice bottoms off horizontally before slicing into strips.) Arrange in a single layer on Large Bar Pan; bake 8–10 minutes or until lightly toasted. Remove to Stackable Cooling Rack; cool completely. Cut onion in half crosswise using Utility Knife. Slice half of the onion crosswise into thin rings using Ultimate Mandoline fitted with adjustable slicing blade on thin setting. Cut tomatoes lengthwise into quarters and slice crosswise. Set onion and tomatoes aside. Cook ground beef in (8-in./20-cm) Sauté Pan over medium-high heat 5–7 minutes or until no longer pink, breaking beef into crumbles using Nylon Slotted Turner. Meanwhile, chop remaining onion half using Food Chopper. Finely dice pickles using Utility Knife. InClassic Batter Bowl, combine chopped onion, pickles, ketchup and mustard. Add cooked beef; mix well using Small Mix ‘N Scraper®. To serve, arrange lettuce on large serving platter. Spoon beef mixture over lettuce. Top with cheese, tomatoes and sliced onion. 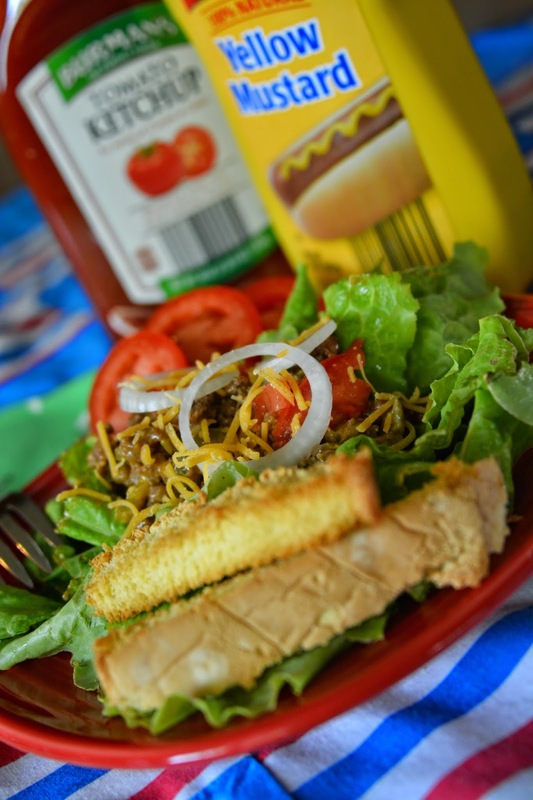 Arrange hamburger bun croutons around edge of platter. Serve immediately.